Dropbox today announced a new API and feature set collectively called the Dropbox Platform that will allow users to more easily maintain one online identity and sync settings, files and data across multiple apps, platforms and services. Today is the first day of Dropbox's first-ever developer conference, DBX, and Dropbox CEO and Co-Founder Drew Houston talked about a new API for developers, called Datastore, and a new feature called "drop-ins" that's embodied through "choosers" and "savers." 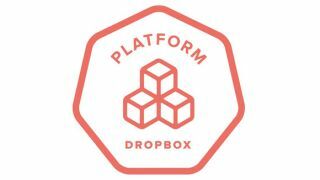 Dropbox also detailed the new additions in a blog post, where Dropbox Co-Founder Arash Ferdowsi called the Dropbox Platform "the best foundation to connect the world's apps, devices and services." All the new Dropbox Platform features are designed to make life easier for developers and users by providing a toolset that can create a single set of settings, contacts, files, and more across multiple platforms and devices. "It's a challenge for developers to provide an amazing user experience across many different platforms and devices," Ferdowsi wrote on the company's blog. "Our Sync and Core APIs already take care of syncing files and folders, but as people use mobile apps more and more, a lot of their stuff doesn't really look like a file at all. It could be anything - settings, contacts, to-do list items, or the latest doodle you drew." Dropbox's new Datastore API moves "beyond files," Ferdowsi wrote, and also focuses on less tangible data that is nonetheless integral to the user experience. Apps built with the Datastore API will sync such data "effortlessly" across multiple devices, apps, services and experiences. And the API is designed so that changes made in an app on multiple platforms (say, on your phone and on the web) "don't clobber each other," even when some changes are made offline. The new "drop-in" features, meanwhile, "let developers connect to hundreds of millions of Dropboxes with just a few lines of code," according to the blog post. The drop-ins are twofold: the "chooser" gives Dropbox users access to their files from third party web and mobile apps, and the "saver" makes saving files to Dropbox "one-click simple." Ferdowsi wrote that some of these features are already in place in or will soon be added to Yahoo! Mail, Shutterstock and Mailbox. The Dropbox user base has almost doubled since November, growing from 100 million to 175 million users, the company recently announced. In addition there are more than 100,000 apps using Dropbox already that will potentially be able to take advantage of the new Dropbox Platform API and features. The new sync features detailed today will manifest soon in Dropbox's newly acquired Mailbox iOS app, a new version of which is "coming soon," Houston promised during the DBX keynote today. Which service offers the best cloud service? TechRadar went in-depth with Dropbox, SkyDrive, Google Drive and iCloud.